The big news today in the golf equipment world is that Bob Parsons of PXG fame is suing TaylorMade Golf, over "patent infringements" on their new P790 iron. PXG seems to have taken exception to the hollow body construction of the P790 which is filled with an expanding foam product which they say is copying their PXG 0311 irons. PXG have been using a thermoplastic elastomer to fill their hollow clubs and in the P790 TaylorMade uses a thermoplastic poly urethane they call "SpeedFoam" in its also hollow construction. A set of PXG 0311X irons will cost you in the region of €2200 or £2000. A set of TaylorMade P790 irons will set you back €1100 or £1050. So about half the price. My read of it is that the problem as PXG sees it is less to do with the foam and more with the hollow construction. After all the TaylorMade R9 iron which dates back to 2009 was foam filled to brace an unsupported face. 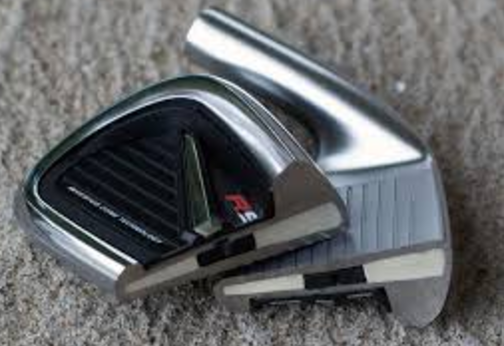 The R9 iron had a foam filled construction in 2009. PXG are most likely suing to try to stop the proliferation of hollow clubs by TaylorMade because hollow is their shtick or their big thing. Wouldn't they look silly if TaylorMade clubs at half the price performed better than their ones? Wouldn't the perception be that they are ripping off the golfer? And they have the financial clout to do it. It comes at a good time for PXG to sue too; why would private equity firm KPS Capital who just bought TaylorMade from Adidas for $425 want to get involved in a potentially embarrassing legal battle?